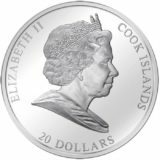 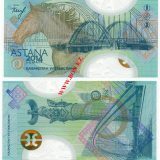 Date of issue: 10 October 2006. 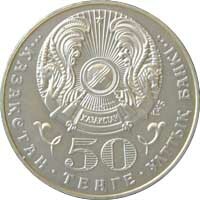 Averse: State Emblem of Kazakhstan against ornamental background; face value of the coin “50 TENGE”; legend in Kazakh “NATIONAL BANK OF KAZAKHSTAN”. 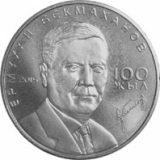 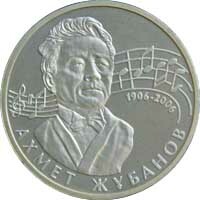 Reverse: portrait of Akhmet Zhubanov, national artist of Kazakh SSR, state prize laureate, member of RK Academy, composer; “1906” means the year of birth of composer, “2006” means the year of coinage; name of the coin in Kazakh “AKHMET ZHUBANOV”.